Dubai is one of the best City in the world to have a superb holiday time. It’s really not an exaggeration. If I am saying so, there are many luxury lovers’ ad sun-seekers who would agree with this genuine opinion. What makes Dubai a great and favorite choice for tourism, is the prevailing Dubai Desert Safari. As Dubai is roughly 45 minutes drive away from the world’s most adventurous desert. Dubai Desert Safari entertains the vacationers with multifarious activities of Arabian culture; like dune bashing, belly and Tanura dance, henna tattoos and scrumptious barbecue. Along with these typical and favorite activities, Dubai desert safari include multiple ventures, which should be included in every individual’s list to have a thrilling experience of Arabian desert at the peak. 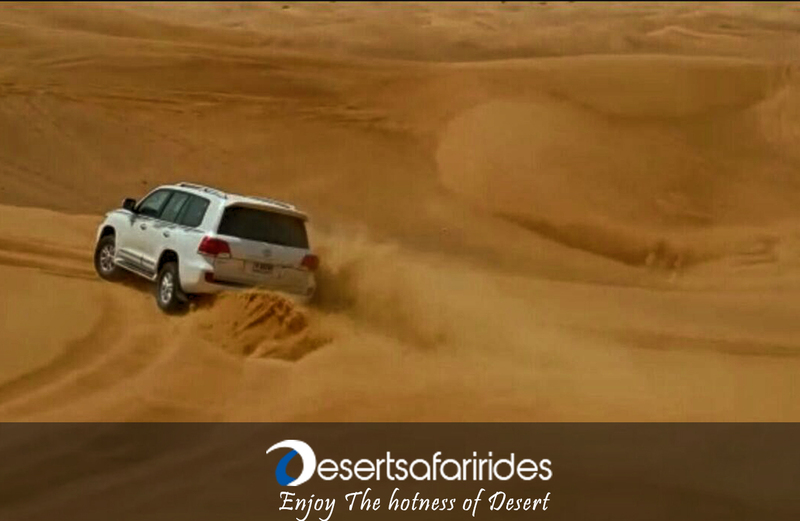 Dubai Desert Safari gives you the best opportunity to have the most adventurous & wonderful fun time through Dune bashing. It is totally a warming adventure to have a ride in world’s luxurious four wheel vehicles across the astonishing dunes and your mind convinces you throughout the ride to enjoy the moment instead of having a panic attack. The brave and courageous people may sit on the front seat to have a definite lifetime thrill of the speedy ride and heavy bumps. But normally people prefer a back seat adventure. Dubai is the desert with the biggest dunes in the country. After the dune bashing, sand boarding is the most favorite activity among excursions of Dubai Desert Safari. The sand dunes are 200-300m high which creates fun and adventure for you in the deserts of Dubai. You can take the sand board on rent during your desert safari in Dubai and some training as well. 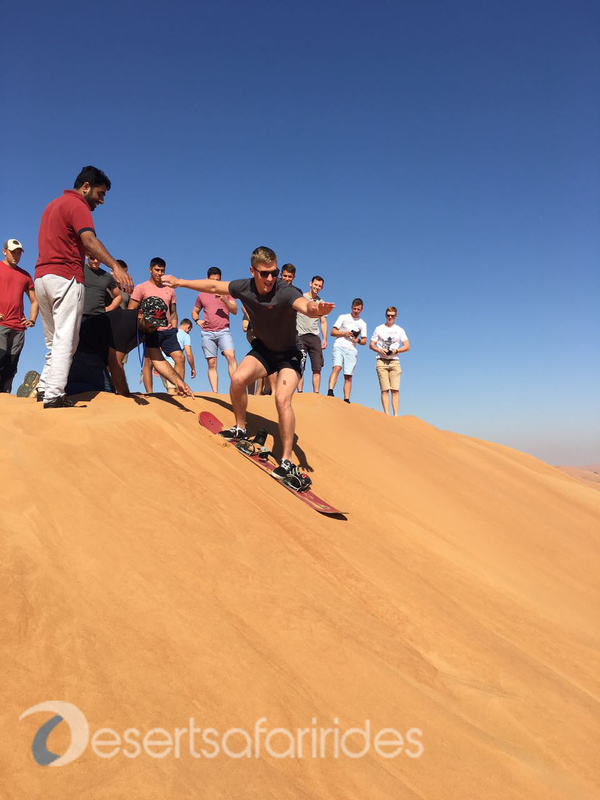 You just have to stand on a board according to the instructions and move on the slopes of the dunes with care. It will provide you a great fun and make your trip more wonderful and adventurous. Do not miss this breathtaking activity ever in Dubai Desert Safari. As Dubai Desert Safari is an adventurous and thrilling event right in the middle of Arabian Desert, the tourists are supposed to wear the perfect loose linen dress. You should keep in mind that the weather conditions are totally different in day & night time. Unlike elsewhere in Dubai, modest clothing is not mandatory. Shorts and think clothes for women are acceptable. Men can also wear shorts, but linen trousers may make you more comfortable. Si to have a relaxing and cozy time at the campsite bring an extra jacket for night time and choose the loose dress for camel rides. That’s the most rational way to enjoy the Dubai Desert Safari. Dubai Desert Safari covers the prices of thrilling and exquisite rides and meals, but it is always a good idea to have extra money during a holiday time. Bring some cash or credit card, you may need them for water, snack, and the souvenir shop if you decide to buy photo or video from the official photographer, you would have to pay money from your pocket. Nothing can be more exciting than exploring the Dubai Desert at night time and Dubai Desert Safari offers night packages for those who want to maximize their entertainment and are willing to prolong their fun. A wonderful meal is served at the campsite, which includes a scrumptious barbecue with best possible Arabic sauces, unlimited beverages and apple shisha to smoke. Along with such royal dinner, you can watch the exotic belly dance and pretend yourself a prince of Arab. Dubai Desert Safari Rides gives you the best fun and guaranteed gratification that you can have in Dubai as it offers the exceptional excitement and thrill to make a memorable folder of your life, which won’t fade rest of your life.